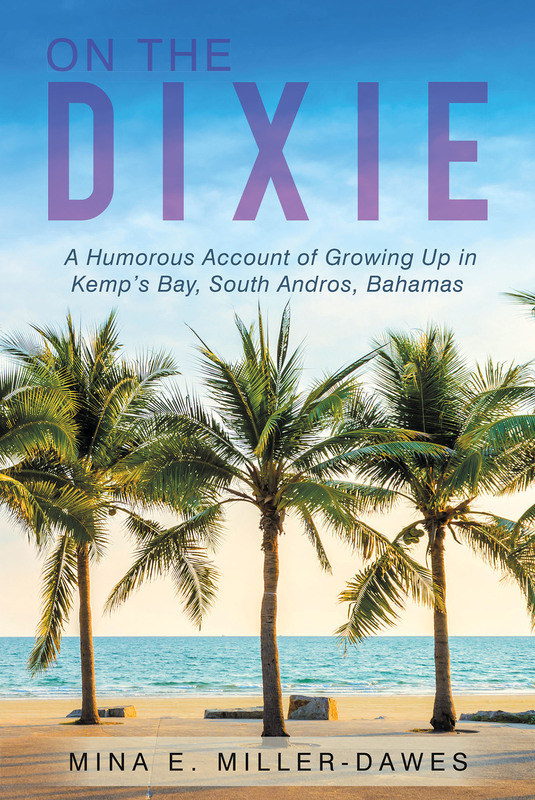 Newest publication "On The Dixie: A Humorous Account of Growing Up in Kemp's Bay, South Andros, Bahamas" from Fulton Books author Mina E. Miller-Dawes shares a sampling of stories from the Dixie. Living on the Dixie was like living in today's social media. Cedar Hill, TX, January 24, 2018	(Newswire.com) - Mina E. Miller-Dawes was born on the Dixie. She attended Mr. Toote’s School and the Kemp’s Bay Seventh-day Adventist Elementary School. Upon graduating from the Bahamas Academy of Seventh-day Adventist in 1963, she became a student teacher with the board of education, then started teaching at the Western Junior School in Nassau, Bahamas. Mina attended the Bahamas Teacher’s College and successfully matriculated after two years. She continued teaching for the board of education as a trained teacher. Unsatisfied with her education, she decided to attempt Union College in Lincoln, Nebraska. In the middle of her studies, she met and married Byron Dawes. Still not completely fulfilled, she applied for and received an in-service award from the Ministry of Education. In 1976, she finally received a bachelor of science degree in elementary education. After she married, she permanently moved to Lincoln where she worked as a teacher and pursued her master’s degree. After four years, she, her husband, their daughter, Maxine, and their son, Byron Anthon, moved to the Dallas–Fort Worth area where she found employment as a teacher in the Dallas Independent School District. After eleven years, she became a school administrator, working as a dean of instruction and, later, an assistant principal. She retired after working in Dallas for thirty-one years. Mina is now taking care of her grandson, Byron Anthon Jr. Her daughter’s two children, Jaxon and Paschall, also enjoy her retirement as they can now visit her any time during the week. Mina E. Miller-Dawes, retired school teacher and administrator, has completed her most recent book “On The Dixie: A Humorous Account of Growing Up in Kemp's Bay, South Andros, Bahamas”: stories from the social media of Kemp’s Bay. Published by Fulton Books, Mina’s book is a sampling of stories from the Dixie. For Kemp’s Bay, the Dixie was the thoroughfare for travel from one end of the community to the other. It was also the connection linking the communities to the South and North of Kemp’s Bay. Being on the Dixie was the equivalent of being on today’s social media. Everything worth seeing or hearing transpired on the Dixie. Most of the homes were located on or near the Dixie, so everyone who passed through the settlement was seen by the residents. Children traveled to and from school via the Dixie. Adults went about their daily routines via the Dixie. News traveled like a flash from one end of the Dixie to the other. All that one needed to know was communicated by way of the Dixie. Readers who wish to experience this fun and entertaining work can purchase “On The Dixie: A Humorous Account of Growing Up in Kemp's Bay, South Andros, Bahamas” at bookstores everywhere, or online at the Apple iTunes store, Amazon, Google Play or Barnes and Noble.